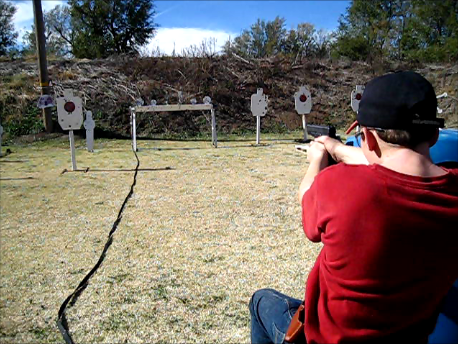 Here at The Outback Park one of the many exciting thing we offer is shooing at reactive steel targets. This is a group event that dose require closing the range. We recognize that sounds like a daunting task. At $450 for all day for as many or as little shooters as you would like. We can set up any scenario you would like using your pistols or shotguns or a combination of both. For more information please don't hesitate to give us a call or shoot us a email. For more group information see our Parties tab.